On the last day of school, Hubby and I attended a graduation. It was Knox's graduation from Big A Elementary! 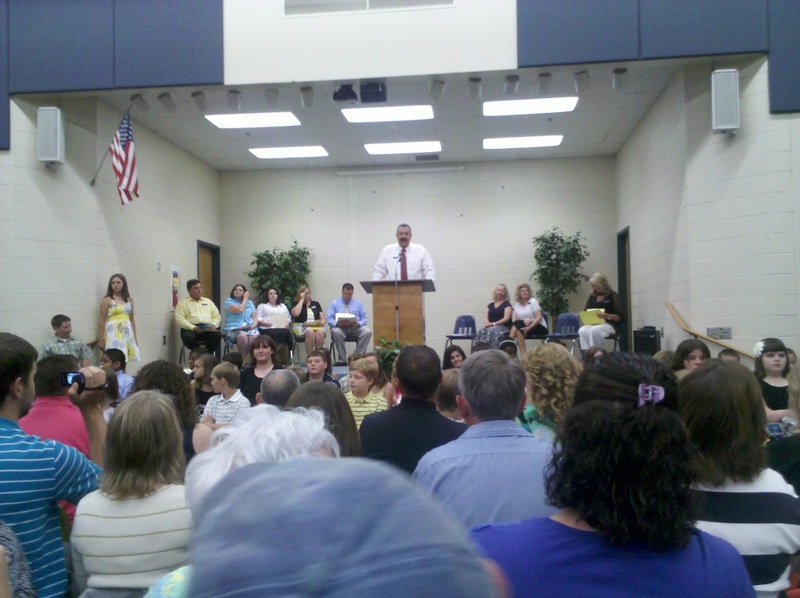 5th Grade graduation with the opening by Mr. Sanders. For me, I get emotional at these type of things. I cry at every high school graduation (except for my own) I have ever been too...being a high school teacher that is about every year! So of course I got emotional at this one! I got emotional not because my little boy is growing up (I'm excited about him getting to adulthood) but because I remember all the hard times. 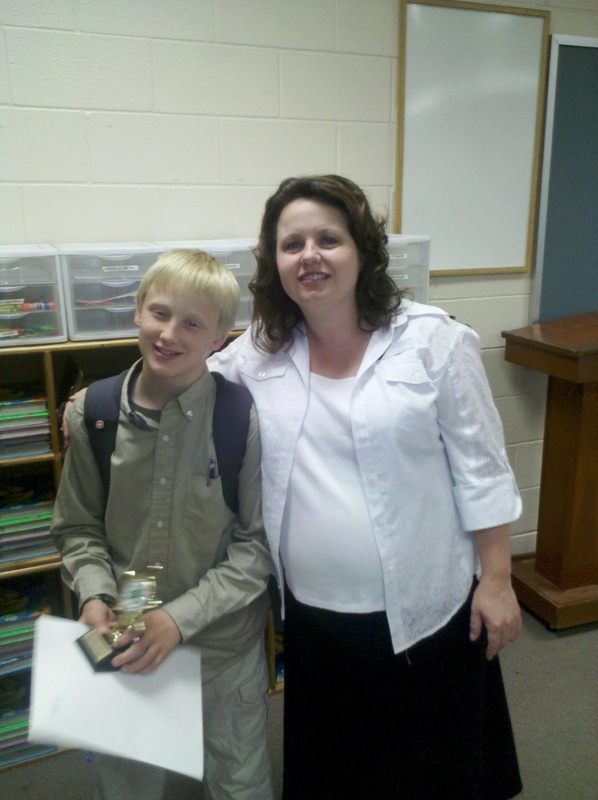 Knox with his teacher Ms. Housely. I remember all this and the fact that Knox learned. He made it through 7 years and has come out ready to tackle 6th grade!! From Pre-K to 5th grade, Knox has had to work harder than his classmates to get the same results. Whatever he struggles with, we struggle with it together. He has learned to compensate and has amazed us with his accomplishments! 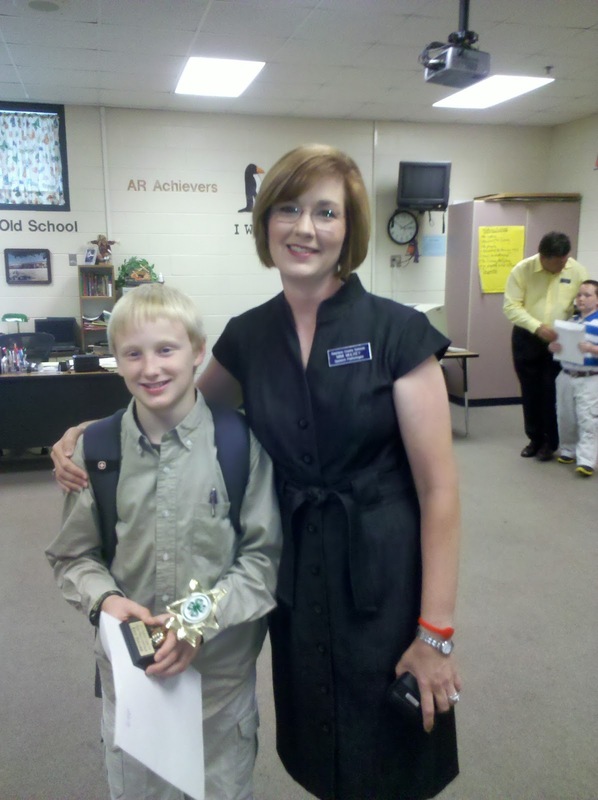 Knox with his speech teacher Ms. Mulkey. She has been teaching Knox since 2nd grade. But that day those struggles came out in my tears for his accomplishments! I am so proud of him and all the obstacles he has faced and stared down! 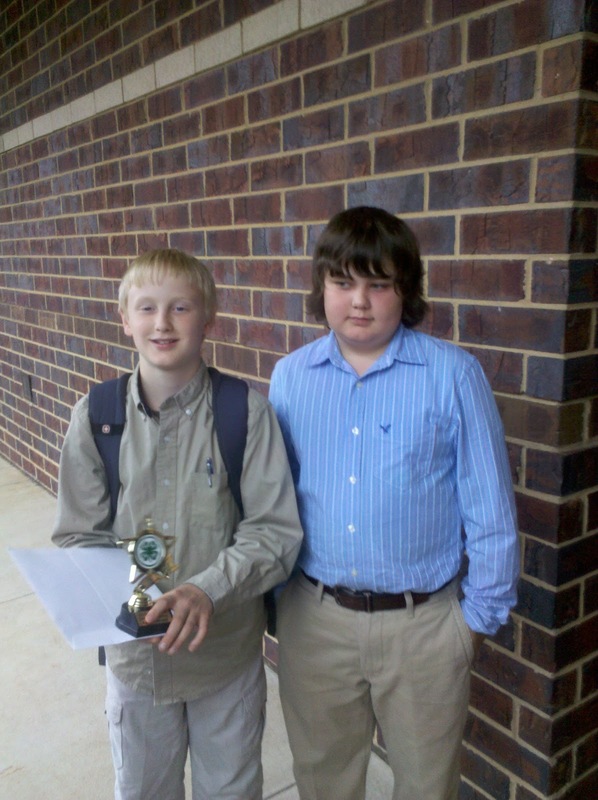 Knox and his friend Andrew. I'm glad to hear that I'm not the only one who gets teary eyed at every graduation I go to! Congrats to Knox!